Abdul Rashid treads gently across the rubble that was once his uncle's home in Azizabad, Afghanistan. He spots a little girl's shoe, caked in dried blood. He picks it up and waves it angrily in a visitor's face. "Does this look like it fits a Taliban fighter?" Rashid says. Still clinging to the tiny shoe, Rashid takes a few more steps and picks up a torn woman's veil." Does this look like something the Taliban would wear? Can you believe it? 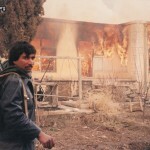 This is what Afghanistan has become," Rashid says, his rage dissolving into tears. 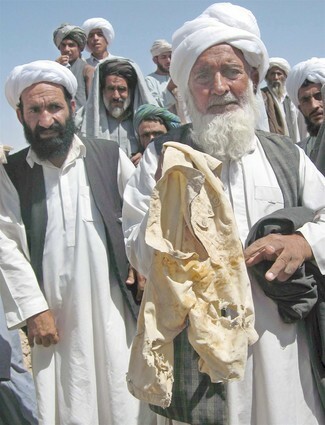 The tribal elder says he doesn't know how to help his clan come to terms with the attack by U.S. and Afghan forces on his village last Friday. He pages through a handwritten report that lists the names and ages of 91 dead, most of them relatives. Sixty were children, and at least 15 more were women, say U.N. and Afghan officials, who have gone to Azizabad to investigate the incident. Rashid says the latest victim, a 6-year-old girl, was buried the day before. Afghan officials say Rashid's neighborhood, which was the target of the military operation, was packed with visitors the morning of the attack. They were there to attend a memorial ceremony honoring his late brother [Timor Shah], a local strongman. Rashid says vats of meat, rice and potatoes were being prepared for the scores of mourners when the soldiers attacked. Nearby, a 27-year-old policeman named Daud wanders around in a tearful daze. He clings to a tattered piece of black cloth. It is part of the outfit he says his youngest daughter, aged 3, had on when she was killed, along with her five siblings and his wife. Daud says he was at a highway checkpoint far away when the soldiers and war planes came. Now, he doesn't know what he'll do. But he says one thing is for sure — he's quitting the force. He says he can no longer protect his country, not after his country failed to protect his family. My name is Ahmad Shah Andiwal from Azizabad village. I am talking from the area, which was bombarded yesterday night. We will continue our protest until we get a clear answer because nothing is left for us’’. ‘’A man was killed a few months before and there was a religious ceremony for his death. But someone had reported to the Government officials that Taliban fighters were brought up to the village to attack the airport of Shindand district. I was there and I did not witness any Taliban fighters or Al Qaeda members. The Taliban were better than this puppet government and its masters. 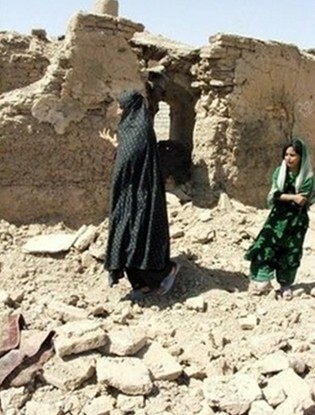 The Taliban would at least distinguish between civilians and enemies. But these thugs think everybody is their enemy. The Afghan Independent Human Rights Commission (AIHRC) said its investigators on-site concluded 91 people had perished: 59 children, 19 women and 13 men. Ahmad Nader Nadery, head of the AIHRC, said 76 of the victims belonged to one large extended family – that of Timor Shah’s brother who is named Reza. Reza was killed in the assault. Nadery confirmed reports from villagers that a memorial ceremony was being held for a deputy militia commander allied with the Afghan police named Timor Shah, who had died in a personal dispute several months ago. Because of the memorial, relatives and friends from outside Azizabad were staying overnight in village homes, he said. 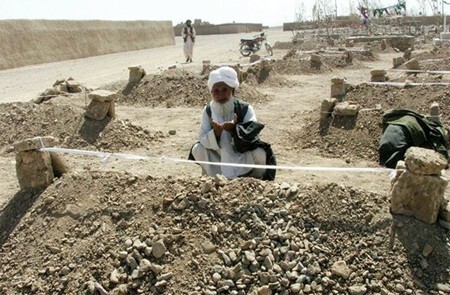 Government officials who travelled to the village of Azizabad in Herat province said the death toll had risen to 95 from 76, making it one of the deadliest bombing strikes on civilians in six years of war. True to form, the U.S. military insists that it struck compounds harboring a Taliban leader and his troops, killing 25 “Taliban.”. It admitted that 5 civilians were killed (2 women and 3 children) but they were “connected to the militants.” Recall too that just some months ago, Marc Garlasco of Human Rights Watch, announced to the world that the U.S. military had “all but eliminated civilian casualties” in pre-planned air strikes. It’s certainly unclear how pre-planned these midnight air strikes were. The European Union in Brussels expressed ‘consternation’ that more than 90 civilians were killed in US-led strikes. The day after the massacre, villagers gathered in protest. 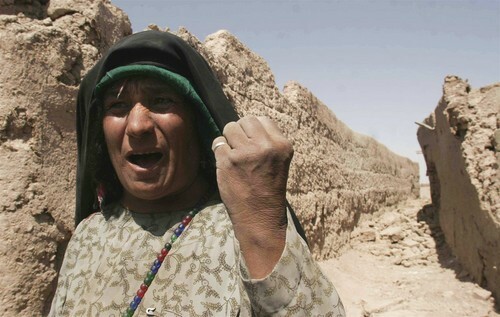 When Karzai’s soldiers tried to distribute food and clothes (and $2,000 “condolence” money for each dead victim), they pelted the troops with stones. Karzai’s soldiers fired into the crowd, injuring up to 8 people (including one child critically). Ghulam Azrat recounted, “The People are very angry. They told the soldiers, ‘We don’t need your food; we don’t need your clothes. We want our children. 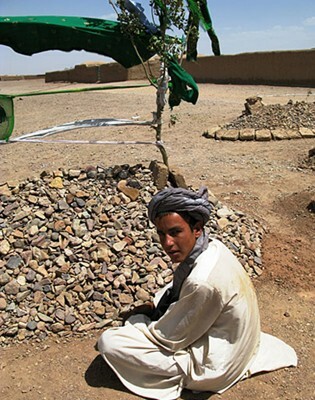 We want our relatives.” Another resident, Hamidullah, said, “They destroyed our houses, killed dozens of people and they still send us wheat.” He added they did not want wheat but rather punishment of the criminals. Nek Mohammad Ishaq, a provincial council member in Herat and a member of the government delegations sent to investigate in Azizabad, sat with villagers on the floor of the mosque. Ishaq said a man walked in, holding a hander kerchief which he wanted everyone to see. In it were body parts of children: fingers, bits of hand and feet. Around 92 percent of the gross national product is presently financed directly or indirectly by donors, said the German advisor to the Economics Ministry in Kabul, Alfred Kraft.